From its rich seafaring history to year-round sunshine, the Arab country makes a well-rounded destination for adventure-seekers and culture lovers. Qatar is making sports history as the first Middle Eastern country to host the 23rd World Corporate Games in 2019; the 17th World Championships in Athletics in 2019; FIFA World Cup in 2022, and FINA World Swimming Championships in 2023. 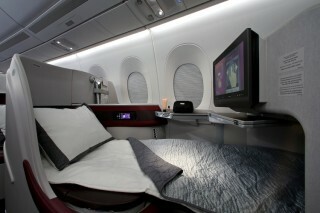 Citizens of more than 85 countries and territories are eligible for visa-free entry to Qatar. Visitors do not require any prior visa arrangements and can obtain a visa waiver upon arrival to Qatar and presentation of a valid passport with a minimum validity of six months and a confirmed onward ticket. 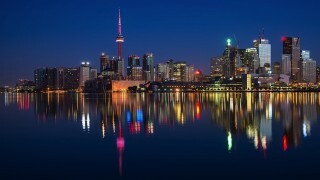 Depending on their country of origin, they can enjoy an allowable length of stay of 30 or 90 days. Qatar has a desert climate with year-round sunshine, hot summers, and mild winters. Average monthly temperatures range from 17 degree Celsius in January to 36 degree Celsius in July, sometimes reaching highs of 40 degree Celsius during the summer months. Rain is infrequent, averaging 70 millimeters per year. It falls mainly in brief showers between October and March and rarely hinders outdoor activities. Dressing in Qatar is quite relaxed, but both men and women are expected to show respect for local culture and customs in public places by avoiding excessively revealing clothing. It is generally recommended for visitors to cover up from their shoulders to knees. Lightweight summer clothing is suitable most of the year, but some warmer garments may be needed for winter evenings. Beachwear and bikinis are acceptable by the hotel pool but not in public places in the city. Business visitors should dress as they would in their home countries. Islam plays an integral role in daily life. 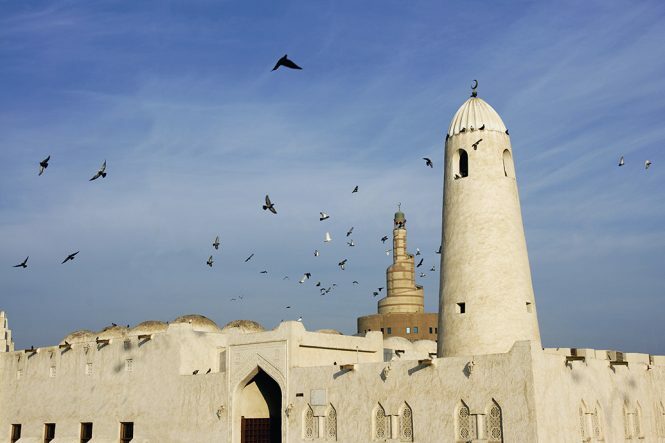 Qatar is a Muslim country, and Islam plays an integral role in daily life and traditions of its people. Prayers take place five times per day—at dawn (Fajr), around midday (Duhr), in mid-afternoon (A’asr), at sunset (Maghrib), and about two hours after sunset (‘Esha). The exact timing varies each day according to the sun’s position. Other religions are respected, and Doha’s cosmopolitan population supports many places of worship, from Hindu temples to Christian churches. Qatar is home to Al Zubarah Fort, a UNESCO World Heritage Site. 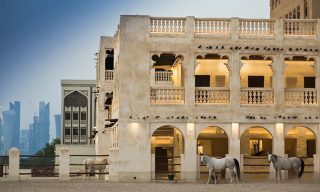 Meanwhile, Arabian horse, Marwan Al Shaqab, was foaled in Doha. He holds dozens of international titles and is the winner of numerous world champions. Traditional Arabic coffee plays a special role in Qatar as an expression of hospitality. Freshly ground and flavored with cardamom and other spices, the coffee is served from a specially-shaped pot (called dallah) in tiny cups with no handles. Fun fact: An Arabic coffee cup should be received with the right hand. The server will continue to replenish the cup until you signal you have had enough by shaking it gently from side to side. Aboard a traditional wooden dhow. Qatar has always looked outward to the sea. For generations, fishing, pearl diving, and trading provided a livelihood for much of the population. 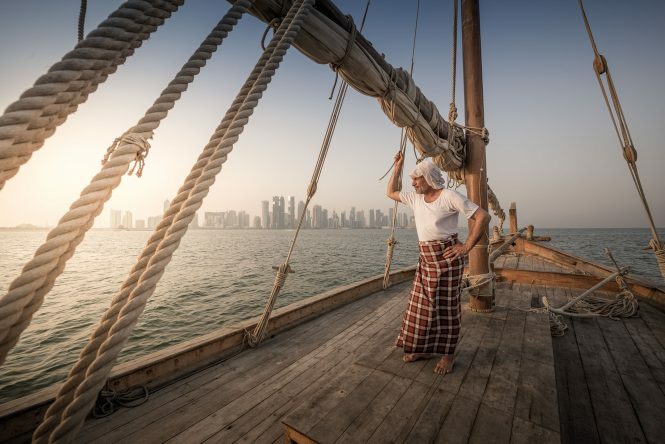 Traditional wooden dhows, largely unchanged in design over the years, are a remnant of this seafaring tradition and they continue to ply Qatar’s waters today. Bukhoor incense is very popular in Qatar and throughout the region. Made from scented wood, it is burned in a special incense burner called a mabkhara to produce a rich fume to perfume the home and clothing. As a show of hospitality, visitors are often invited to waft the smoke around themselves. Needlework and embroidery are among the region’s most enduring traditional handicrafts. In the past, women used to sew all garments themselves as there were no tailors in Qatar—even by the early 1950s, there were just three tailors, who all specialized in men’s clothing. One of the most fascinating techniques is an-naqdah, where women’s garments and headscarves are embroidered with golden and silver threads. 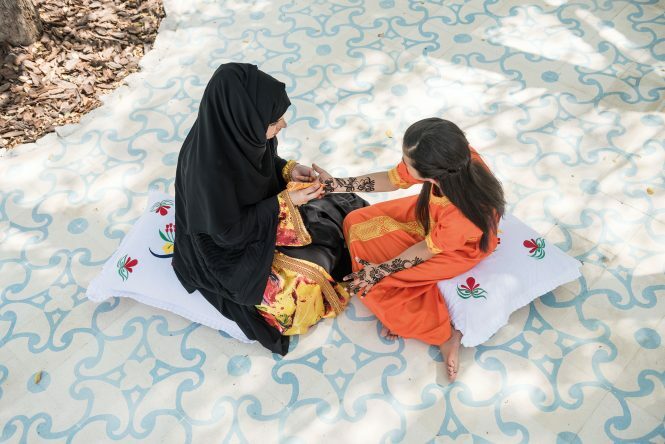 Henna, a natural reddish-brown dye derived from powdered leaves, has been used by Qatari women for cosmetic purposes for hundreds of years. It is still widely used today to decorate the skin with intricate patterns and designs, especially for occasions such as weddings and Eid celebrations. It is also used as a hair dye. Traditional music instruments include tambourines, cymbals, and large drums known as al-ras, stringed instruments such as the oud and rababa, and wind instruments including the flute-like nay and a traditional Arabian bagpipe called a habbān. To perform the traditional ardha dance, men and boys carrying canes or decorative swords form two rows facing each other and chant poetry while swaying to the beats of the music. This kind of traditional music and dance is still widely performed throughout Qatar, especially at banquets, celebrations, and other special events. Falconry is the age-old practice of using a falcon to hunt. 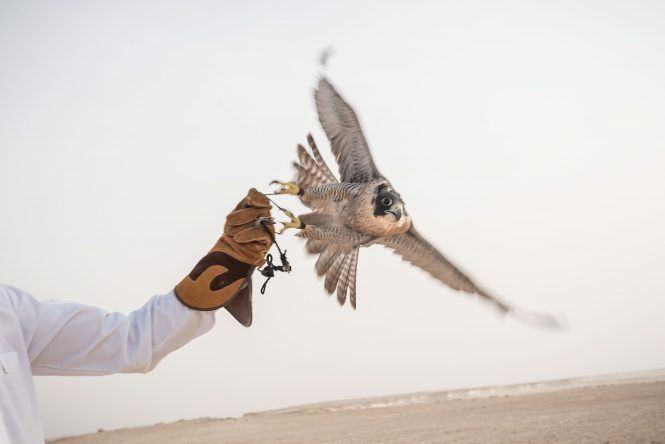 It was introduced to Qatar by Bedouin tribes, who trained their falcons to capture birds migrating across the Arabian Peninsula during the winter months. The falcon’s main prey is the houbara bustard. 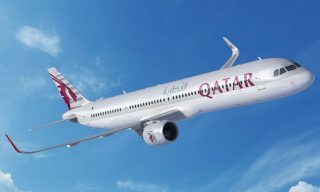 Fun fact: The national carrier, Qatar Airways allows travelers to carry falcons in the Economy Class cabins of its aircraft; a maximum of six falcons are permitted in any one plane. Expect ideal fishing conditions between October and May when calm waters and balmy temperatures prevail. Seasoned sailors can rent a vessel and navigate the open waters themselves; less-experienced anglers may wish to organize a fishing expedition through a licensed tour operator. Opt for a sleek and modern speed boat or get a feel for Qatar’s seafaring history in a traditional dhow. 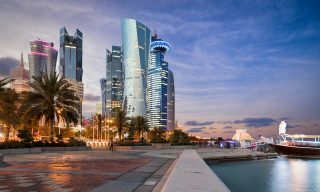 Doha’s skyline is in constant flux as new parks, museums, residential complexes, business towers, rail systems, highways, and roads find their space on the sprawling cityscape. 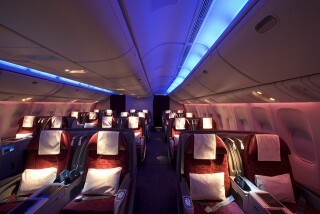 Visitors wishing to discover the city, have the options of doing so on the road, in the air or by sea. 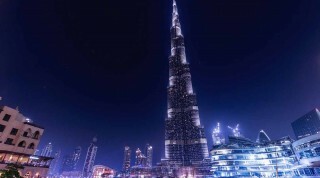 Local tour operators offer a range of city and multi-stop sightseeing trips and excursions, as well as tailor-made tours to meet any special interest. Operating 24 hours a day, Doha Bus offers a tour visiting all of the city’s key attractions with the flexibility to hop-on and hop- off anywhere along the bus circuit. For a unique aerial view of the city’s landmarks, there is Samana’s 45-minute helicopter tour. Finally, experience the country’s seafaring heritage by cruising the Gulf’s calm waters aboard a traditional Qatari dhow boat. This article was brought to you by Qatar National Tourism Council.